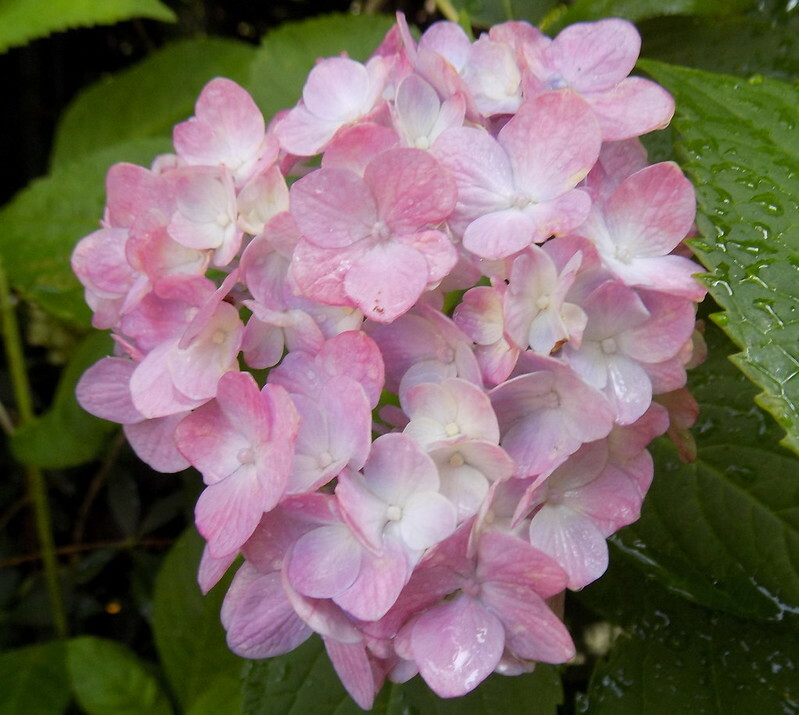 We've had a wet summer which has helped keep many flowers, plants and trees looking fresh even in the heat. It hasn't even been as hot as most summers but the past few weeks have been so humid the heat index has been very high. The photographs are a mix from July and the first week of August. Since summer isn't my favorite season I don't mind that at all. 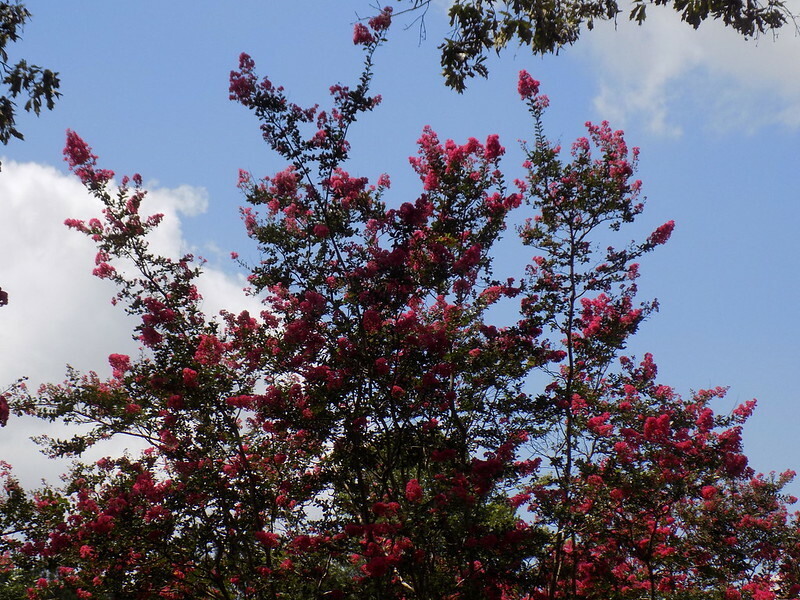 My crepe myrtle trees always brighten up my yard in the summer. 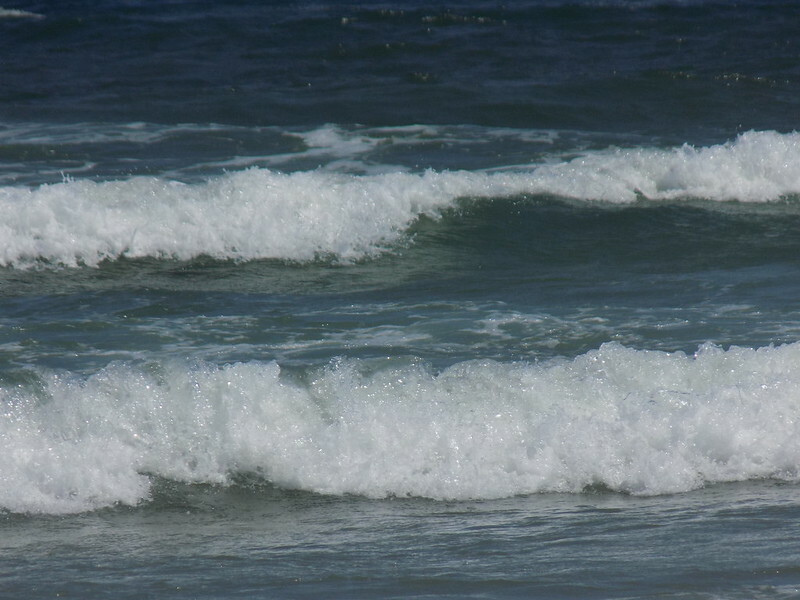 I like all seasons as long as they don't last too long and to that extent summer has been better this year. It took much longer to get hot so we really had an extended spring which I loved. I like change so I'd have trouble living somewhere that didn't have 4 distinct seasons. 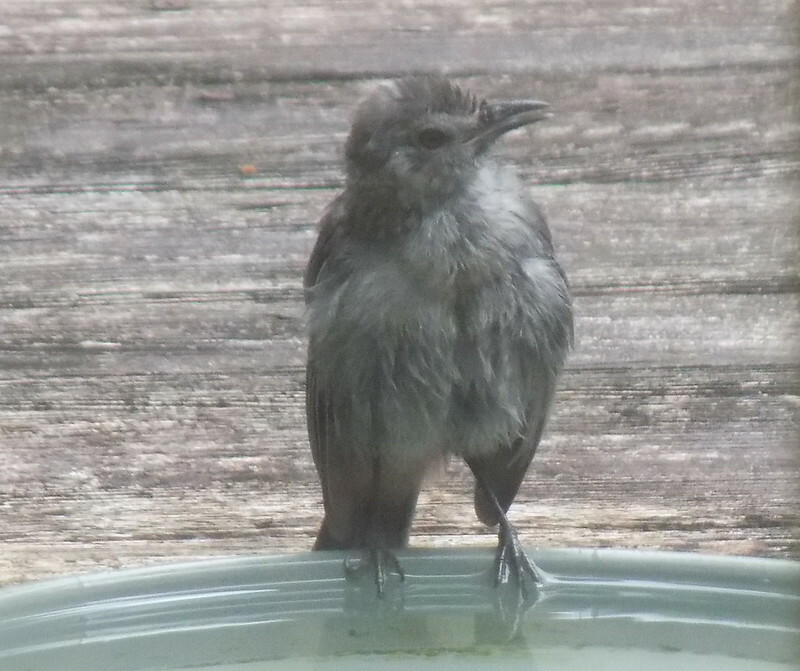 I've gotten more bird shots on weekends and after work because they've needed the water I supplied during the hot spell. 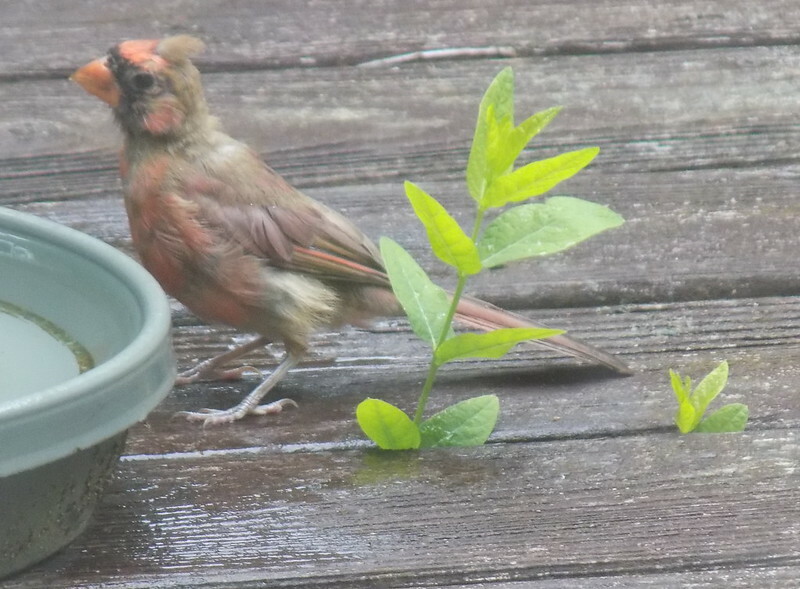 The juvenile cardinal above and below looks like it's losing it's baby feathers. 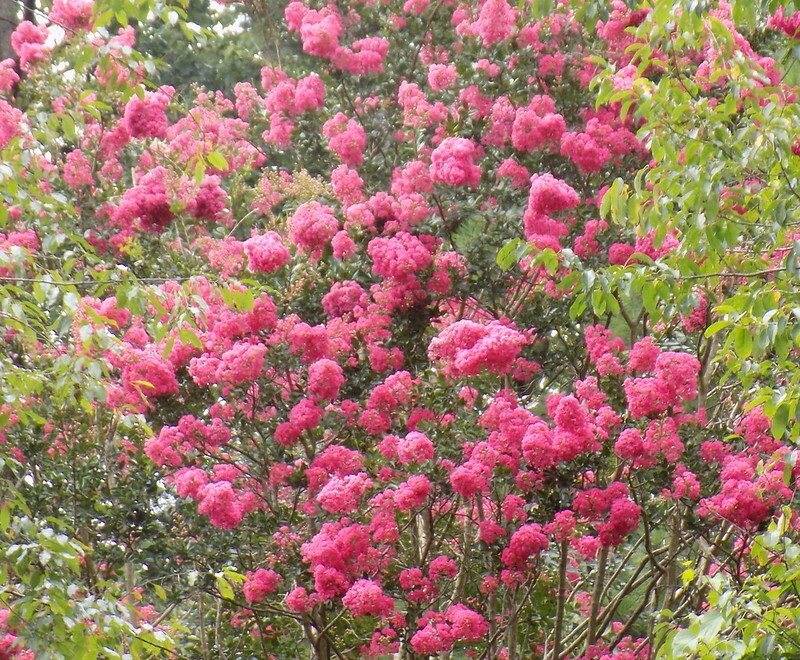 One more crepe myrtle shot below. 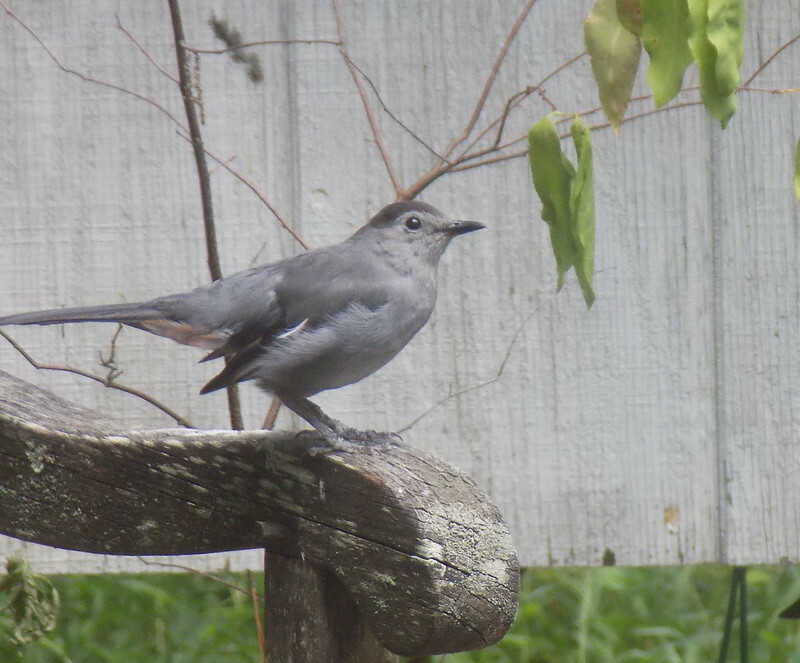 I always have a lot of catbirds. 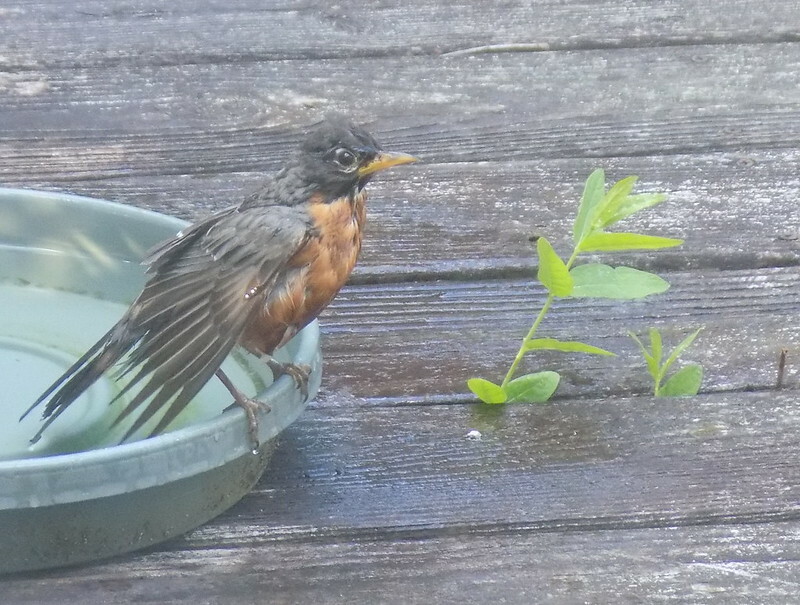 American robins are another common bird at my baths. 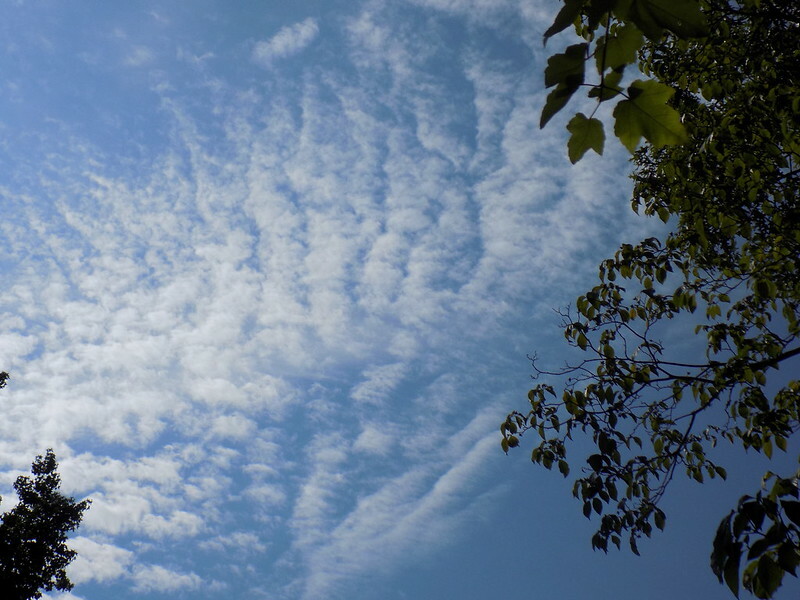 I love those quilted skies. 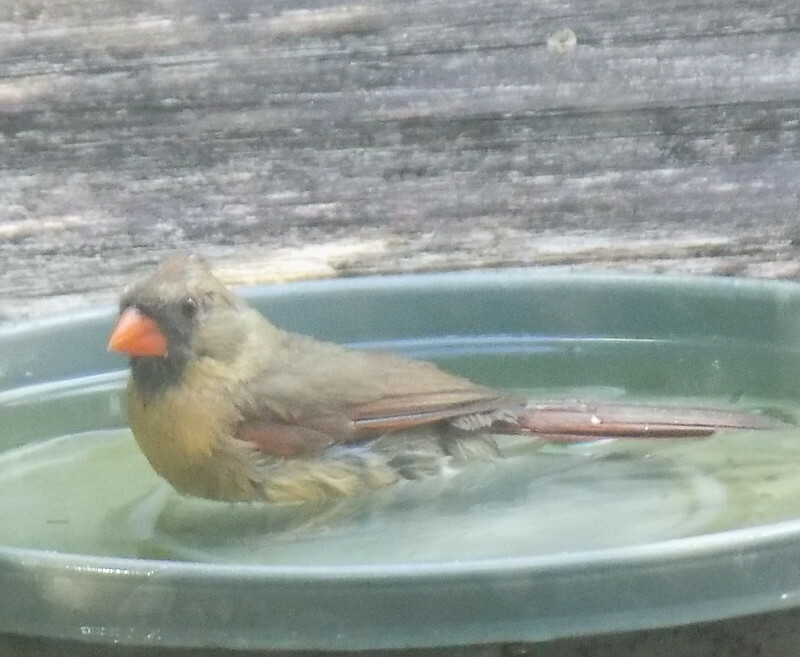 A female cardinal gets her turn in the bath. 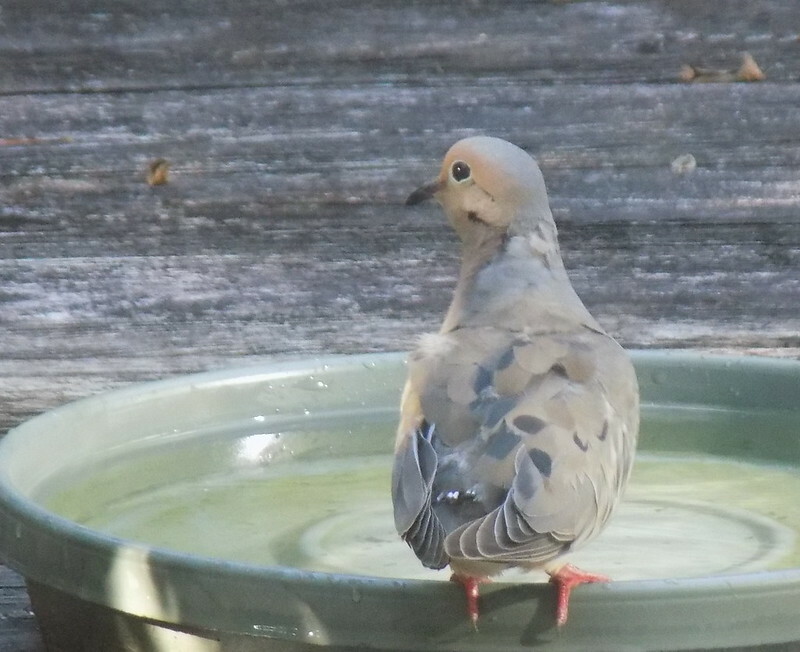 Last but not least is a mourning dove. Your bathing beauties are adorable Carver. 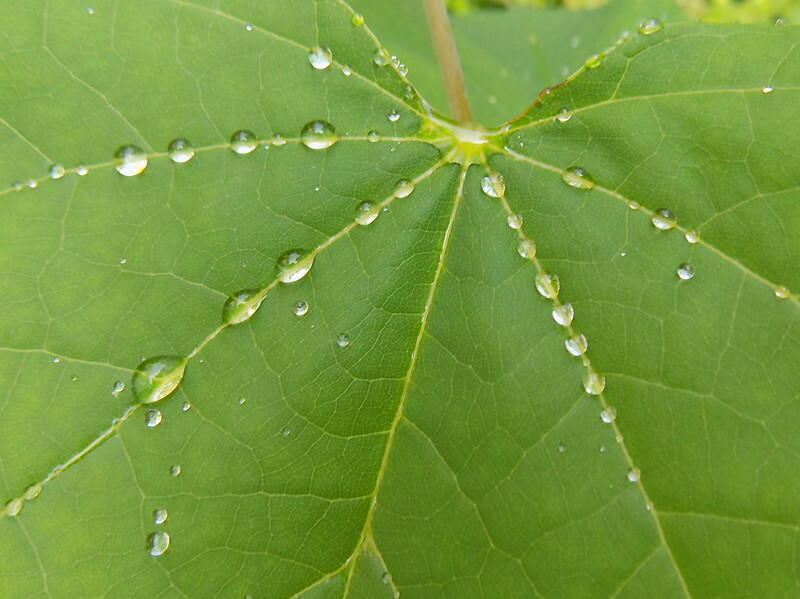 Great shots of the beads of water on the leaves, like little jewels. We have had a torrential downpour this morning and there is a steady rain right now. 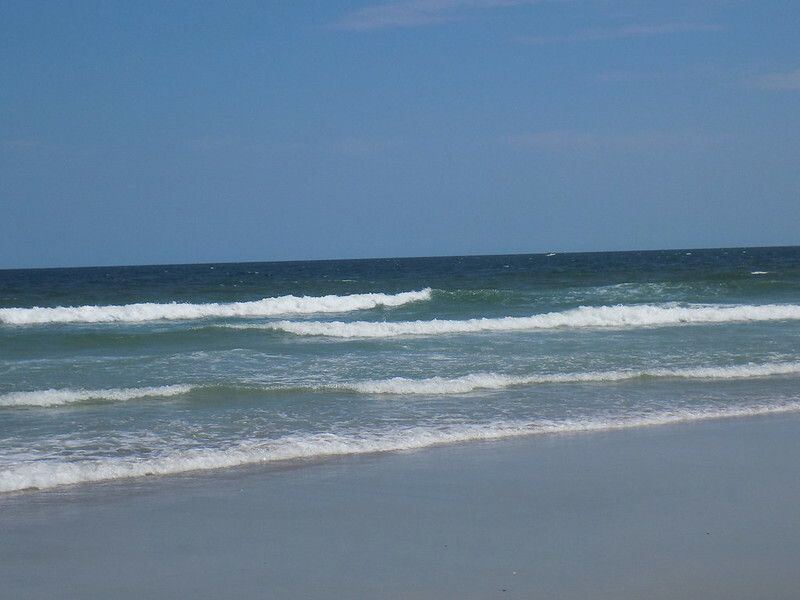 Those beach shots make me want to jump into that ocean and thank you for sharing your pretty blooms with Today's Flowers, and also for the sweet comment on my father-in-law passing away. Very much appreciated by all of us. 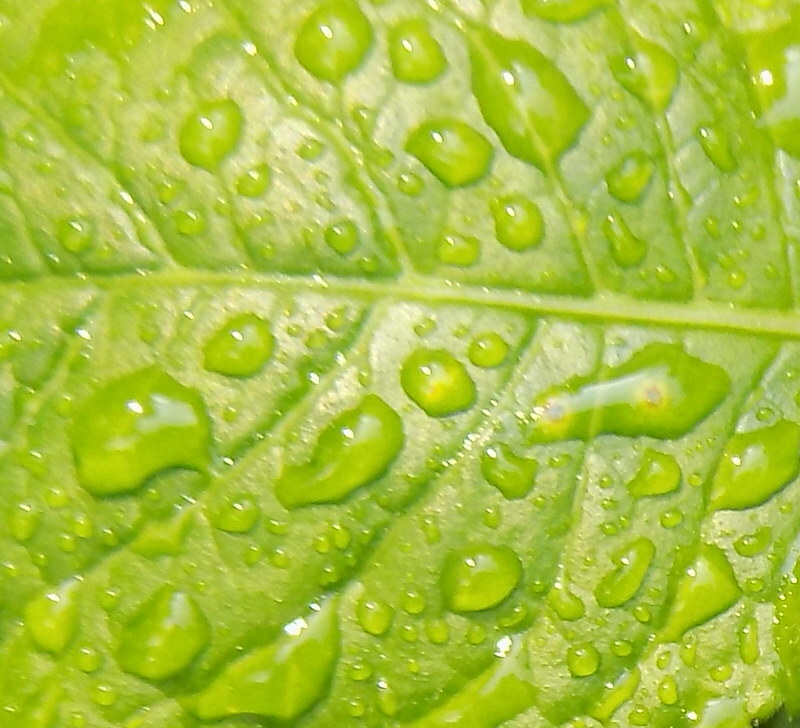 What gorgeous, rainy leaves and flowers! 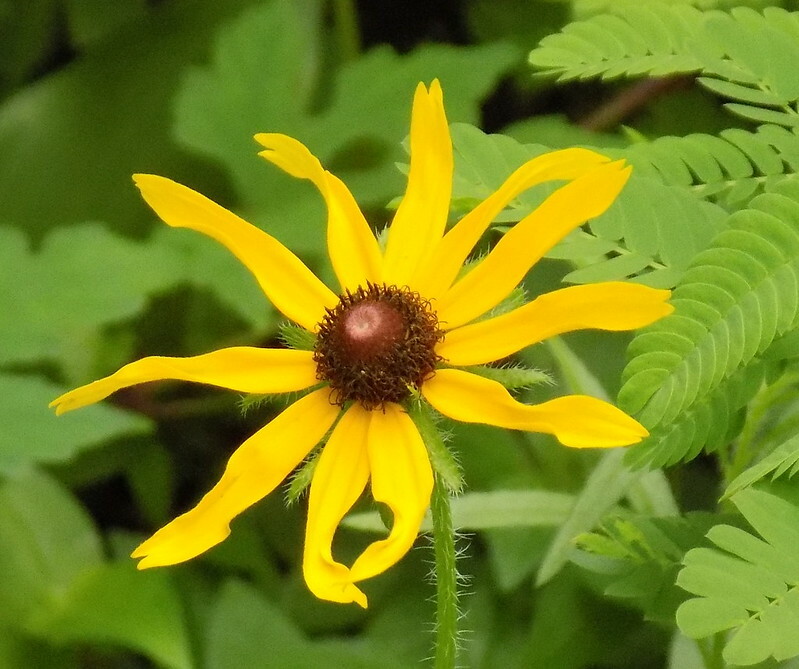 oh, my, such a stunning array of the beauty that lives around you- thanks for sharing! 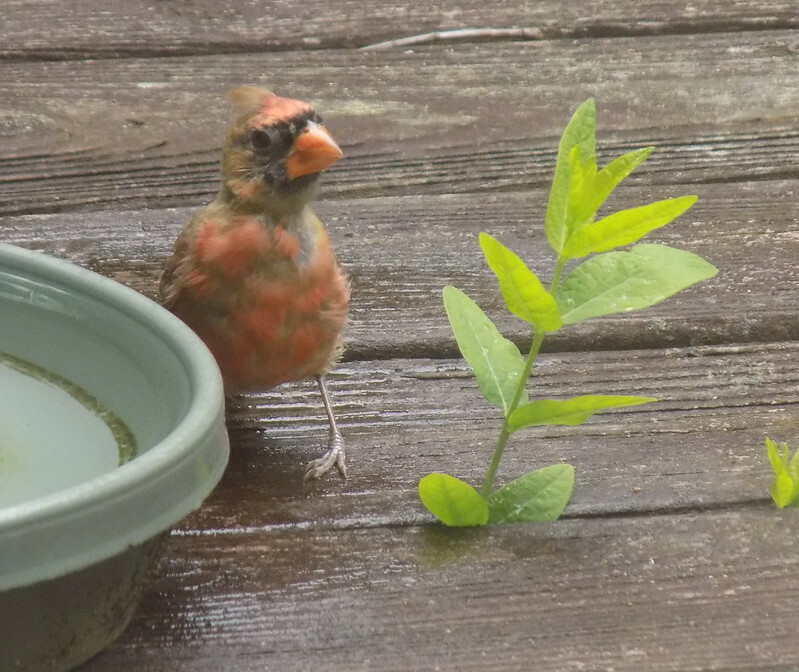 summer in Indiana has been long on heat and short on rain- even when it's forecast, nary a drop. I see your crepe myrtle again. 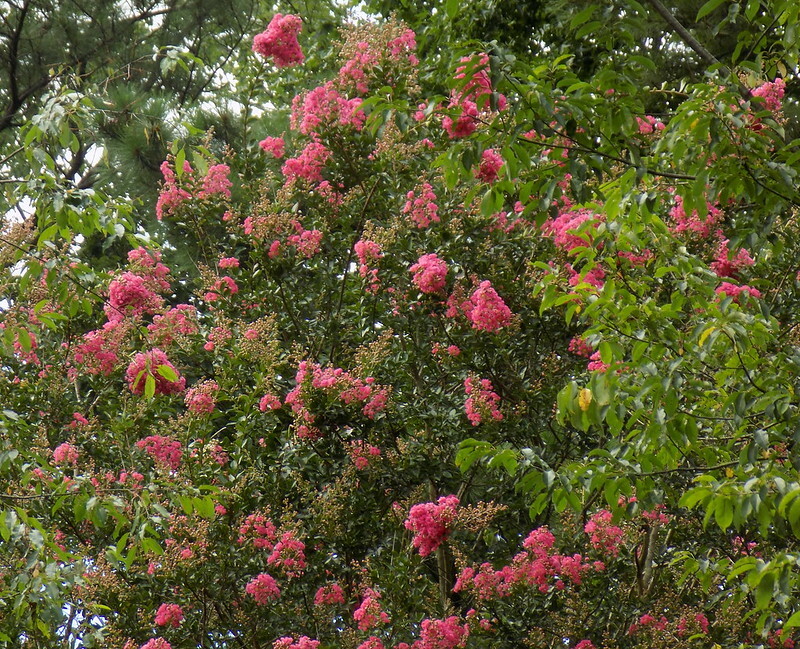 I was just watering my plants an hour ago and my two crepe myrtles have blooms. Can you believe that? They are both undersize still, but the presence of blooms give me so much hope and happiness. Wow !! Wonderful pictures especially those of my favorite birds ! !